Contact centre agent self-service portal. Your employees will love it. 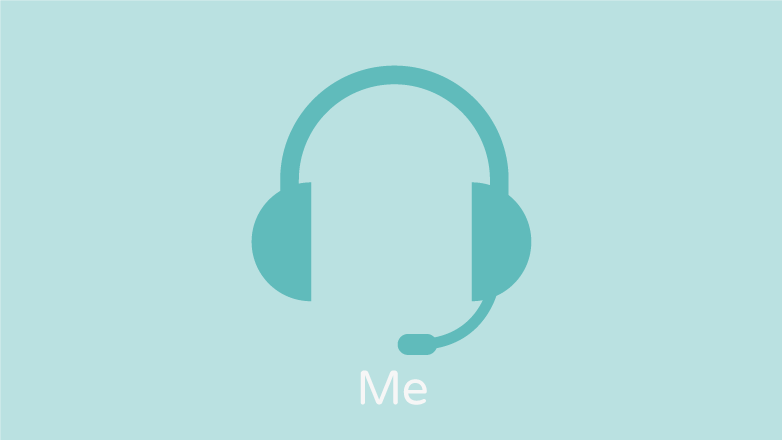 injixo Me is a smart self-service portal for your contact centre agents that works on any device. 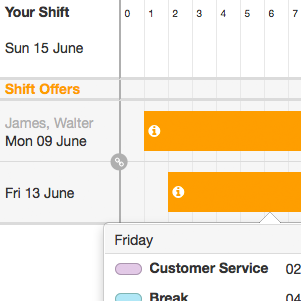 View shifts, request holiday, swap shifts, bid for shifts and get reminders that drive schedule adherence in your contact centre. injixo Me is our agent self-service portal that enables employees to interact with injixo WFM using the device that every agent carries at all times - the smartphone. Agents can view shifts, request holiday, swap shifts, bid for shifts and get schedule adherence reminders - all from their iPhone, iPad or Android device. injixo Me also enables agents to easily check and maintain their work schedules on desktop computers using any standard web browser. With the injixo Me dashboard, agents have access to the most relevant, personal and immediate information about their schedule. The dashboard provides an overview of the agent’s activities for today and also their agenda for the next seven days. 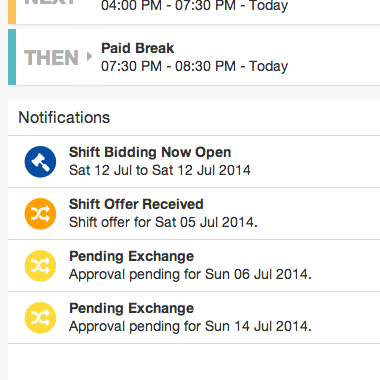 Notifications, such as being informed of upcoming shift bidding periods and deadlines for bidding, are also displayed on the dashboard. Agents will also be alerted to shift exchange offers that they have received from other agents. The agent’s holiday entitlement for the year is displayed, together with remaining holiday balance. 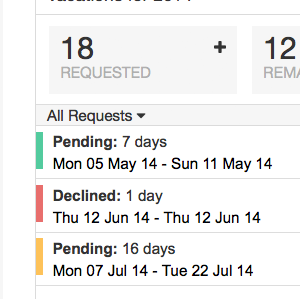 Holiday requests can be submitted with a few clicks and the status of the requests can instantly be tracked - from ‘Pending’ to either ‘Approved’ or ‘Declined’. 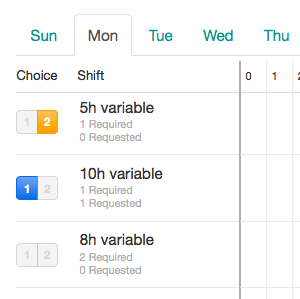 Using injixo Me, agents can view upcoming unassigned shifts and bid for shifts according to their preferences. It is possible to place a first and second choice on each day. Shifts can also be exchanged between colleagues on a self-service basis. Agents can offer their own shifts for exchange and make offers for shifts from other agents. 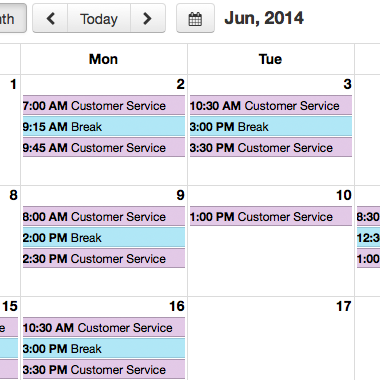 Result: a schedule that offers better work/life balance. 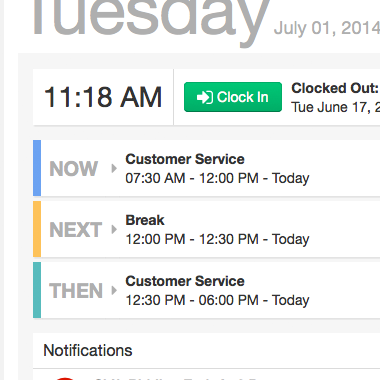 Agents have instant access to their work schedules on their computer or mobile device. It is also possible to export schedules to PDF format. 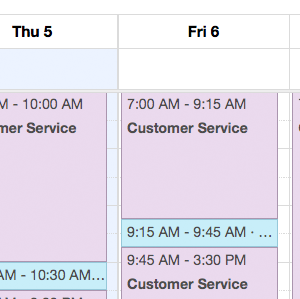 Work schedules can be imported into most calendar applications, such as Google Calendar or Calendar on iPhone devices. Using calendar subscription, the injixo Me schedule can be synchronised with the agent’s personal calendar, thus ensuring that the agent has access to up-to-date schedules at all times. It also means that he receives work reminders in exactly the same way as personal reminders - great for schedule adherence.